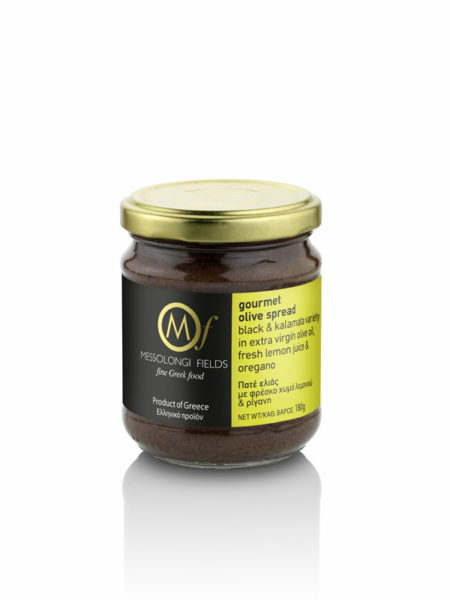 A delicious and healthy olive spread from naturally-cured Black & Kalamata variery olives. Preserved in extra virgin olive oil, with real lemon juice and oregano. Ideal for dips, or as an appetizer with fresh, warm bread.